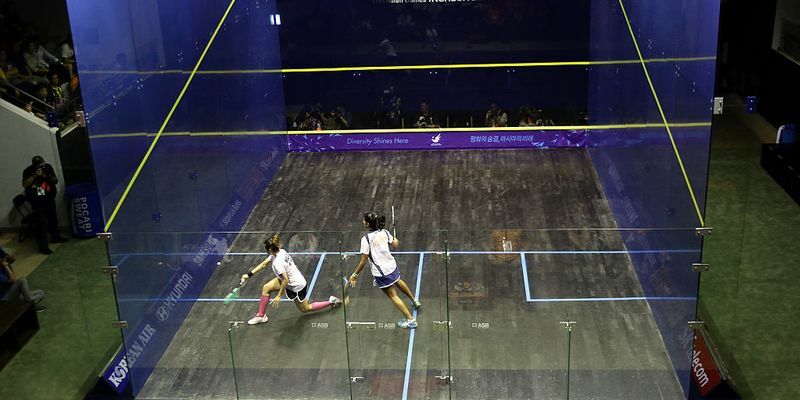 Indian squash player Saurav Ghosal has lost his third round game in the ongoing US Open squash tournament and has bowed out from the tournament being held in Philadelphia. However, Joshna Chinappa is still there in the competition and will play her third round game later tonight. Top-ranked Indian, Saurav Ghosal's tenure ended in the US Open 2018, a PSA world tour platinum event, in the third round on Tuesday. Pitted against the top seed and highly rated Egyptian Mohamed Elshorbagy, the Indian did put up some resistance but in the end that did not help. The Egyptian won 11-5, 16-14, 11-9 to enter the quarterfinal. Saurav had a smoother ride in the men's section. The Indian beat Tom Richards of England 11-4, 11-8, 11-3 in the second round. The other Indian in the fray, Joshna Chinappa, the 16th seed in the women's section awaits her third round match against eighth-seeded Sarah Jane Perry, later tonight. Joshna, who is seeded 16, had a tough match in her opener against Julianne Courtice of England where she won 6-11, 11-9, 8-11, 12-10,11-3 and qualified for the third round of the US Open.